Thank you for a wonderful #CSW17 Celebration! Our students and teachers celebrated our Catholic school communities of faith, knowledge and service last week with a variety of special events, activities, service projects and more. 8th grade students began National Catholic Schools Week at St. Norbert, where they gathered for mass. Students from each school presented a virtue and how their school represents that virtue, including forgiveness, kindness, fortitude, responsibility, hope, acceptance and more. Fr. Jim Mitulski shared the story of a young saint he called his hero: the recently beatified Saint Jose Sanchez del Rio, a 14-year old boy who refused to denounce his Catholic faith and was martyred in 1928 during the Cristero War, a time when the Mexican government removed freedom of religion. Browse the Federation of Catholic Schools Facebook Page to see many more pictures and examples of the #CSW17 celebrations! 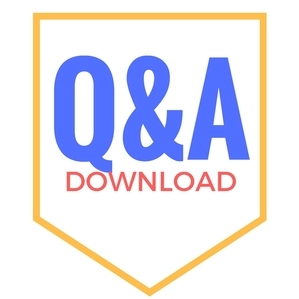 A memo from the School Oversight Committee representatives and a 16-page "Question and Answer" document has been published this week. Please visit www.federationofcatholicschools.org/renaissance to view/download the document. 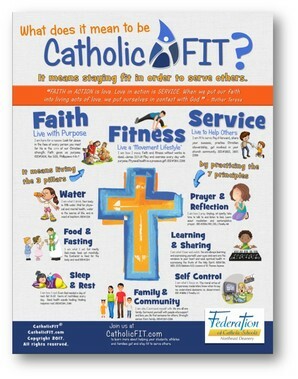 This week students in 3rd and 6th grade at each Federation school began hearing about CatholicFIT in their PE classes. This is the 4th year that the program has been made available to students and families, funded by grants from SSM Health De Paul Hospital and the Catholic Education Office. For the next 8 weeks students will focus on the pillars of Faith, Fitness and Service, and explore principles that affect everyday wellness such as water, food, sleep, prayer, learning, self-control and family. Parents will receive weekly emails from program creator Dave Reddy, to help them follow along and participate with their children. Two family workshops will be held in March (stay tuned for dates and locations) and the CatholicFIT Challenge finale event is set for Saturday, April 8th, 9-10am at Trinity Catholic High School on the track. All are welcome! To learn more about the program you can visit http://www.catholicfit.com/program-resources/. Are you interested in seeing the Screenagers Movie? The Federation of Catholic Schools needs your input for a possible parent information event featuring a screening of the movie "Screenagers: Growing up the the Digital Age" in North County? This movie is not shown in theaters nor available on DVD. The Federation of Catholic Schools is considering hosting a screening sometime soon, bringing parents (and middle schoolers/teenagers) together to learn more about the issues of "growing up in the digital age." Please complete this poll (the movie trailer is available to view at this link, too) and let us know what day of the week works best for you. Looking for faith formation opportunities or a fun night out with friends? Browse the bulletins for a wealth of information about events and activities that our parishes and schools are hosting in the coming weeks. You can access each parish's weekly bulletin online through these links. 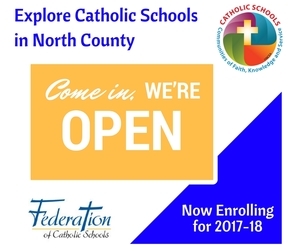 Enrollment for the 2017-18 school year is happening now for current families and new preschool and kindergarten students, and soon will be open to new students. Word of mouth is always our best marketing too - so please share your experiences with your friends and neighbors and encourage them to explore our Catholic schools in north county as an excellent education option! The National Catholic Education Association (NCEA) is hosting its annual conference in St. Louis in April 2017! Catholic educators and administrators from across the country and beyond will be coming to our city for this exciting event. Check out the welcome video that the Archdiocese of St. Louis Catholic Education Office prepared and presented at the conference last spring in San Diego. Follow the #NCEA17 hashtag on Twitter and get ready to learn about all the great things happening at the conference and, more importantly, in Catholic education! Read the Good News about Catholic Education in the Archdiocese of St. Louis in The e-Vangelizer archive.